Proficiency best describes this Small Office Shredder with its ability to get the job done quickly and easily with minimal effort. Small offices or teams of employees will benefit from the ease of use and quiet operation of this small to mid-size shredder. It's perfect for destroying personnel records, client proposals and tax information. 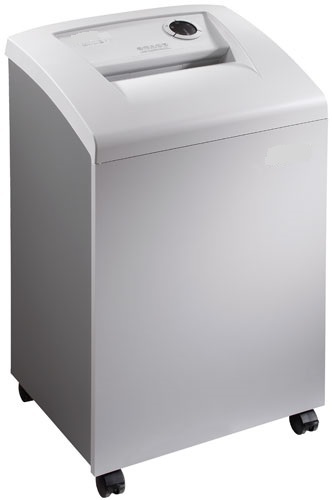 Dimensions 28" x 17" x 13 3/4"
The CleanTEC® is the World's only shredder with a fine dust filtration system. This integrated system collects fine dust particles created around the cutting cylinders and forces them into a filter on the back of each machine. This CleanTEC® filter permanently traps up to 98% of the fine dust, and provides a healthier work environment. 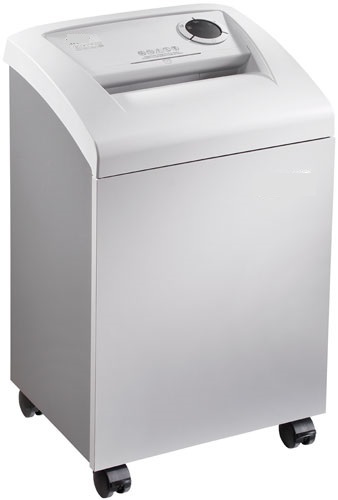 Dimensions 34 1/4" x 21 1/2" x 17 1/8"
Dimensions 36 3/4" x 21 1/2" x 17 1/2"
The CleanTEC® is the World's only shredder with a fine dust filtration system. This integrated system collects fine dust particles created around the cutting cylinders, and forces them into a specialized filter on the back of each machine. This CleanTEC® filter permanently traps up to 98% of the fine dust, and provides a cleaner, healthier work environment. 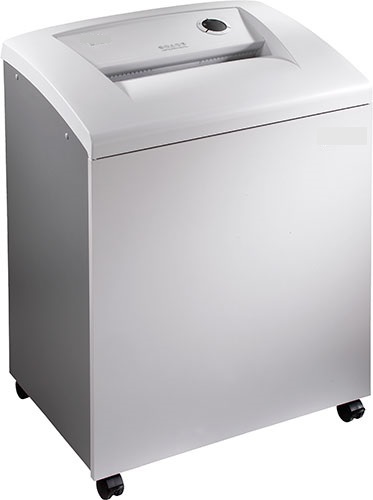 Known for its power and waste capacity, this Department Shredder provides a practical solution for accommodating the shredding needs of even the busiest offices. This machine can continually shred large quantities of paper for extended periods of time. 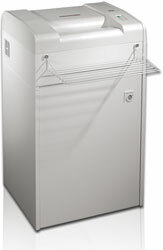 Its attractive design and large waste bin make this a nice addition to any large office, copy room or communications center. 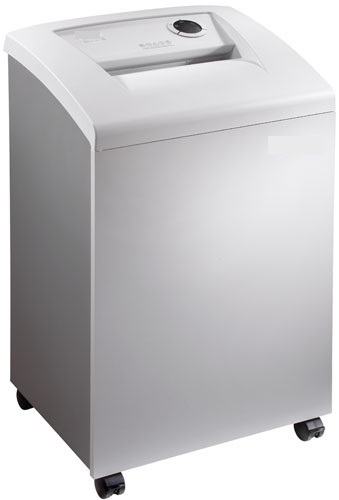 Dimensions 38" x 29" x 20"
The CleanTEC® is the World's only shredder with a fine dust filtration system. This integrated system collects fine dust particles created around the cutting cylinders, and forces them into a specialized filter on the back of each machine. This filter permanently traps up to 98% of the fine dust, and provides a cleaner, healthier work environment. In today's society there's nothing more critical than the accumulation of large volumes of confidential waste. A company's financial records, health information or personnel records can be seen by all if not shredded immediately. This High Capacity Shredder is just the tool to destroy large quantities of paper in a short amount of time. Dimensions 46 1/2" x 27 1/2" x 24"
* Note: Discounts ONLY apply to products shown on THIS page.